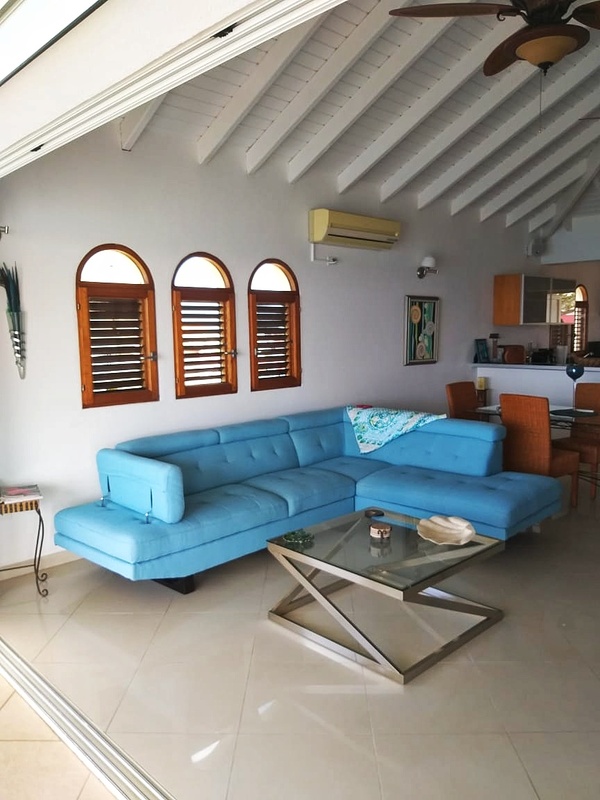 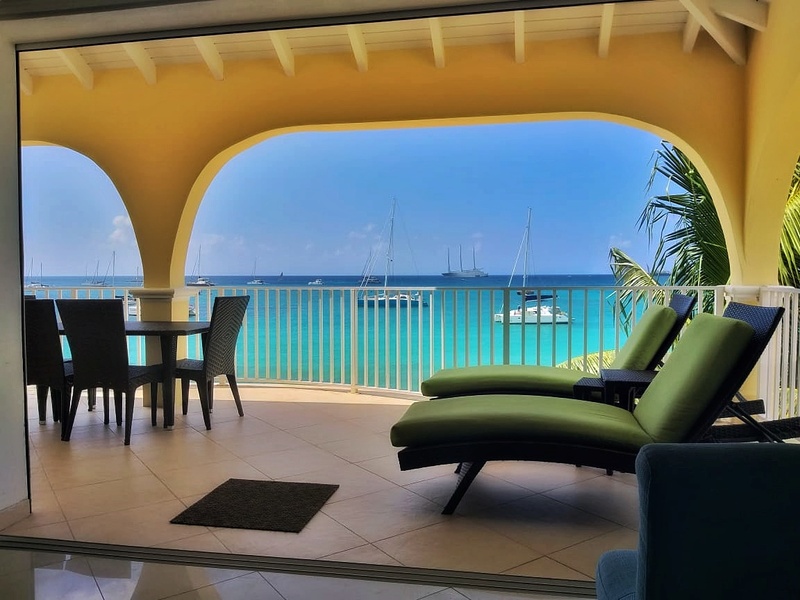 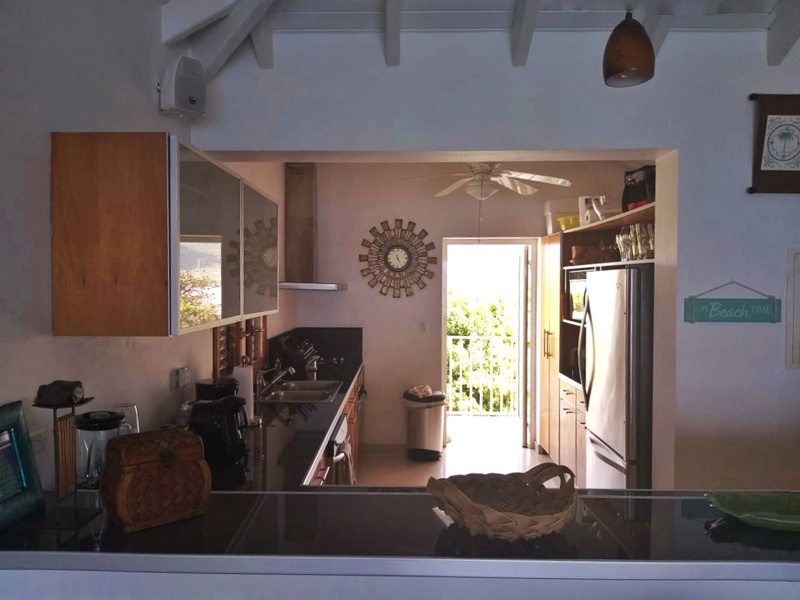 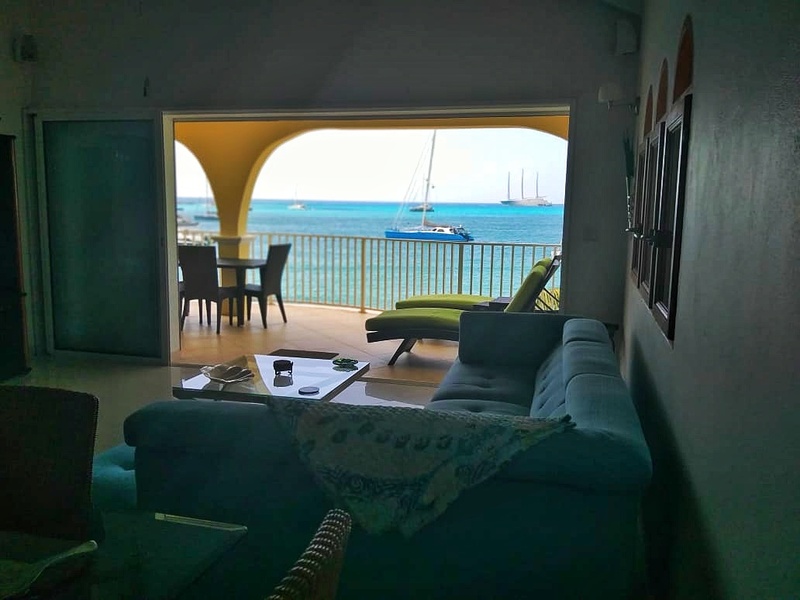 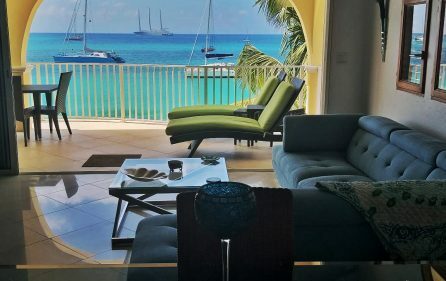 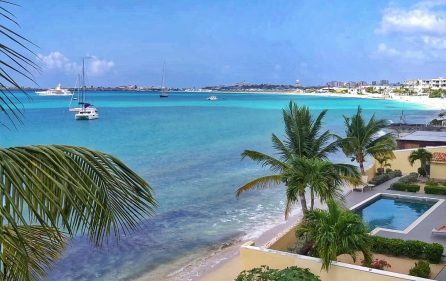 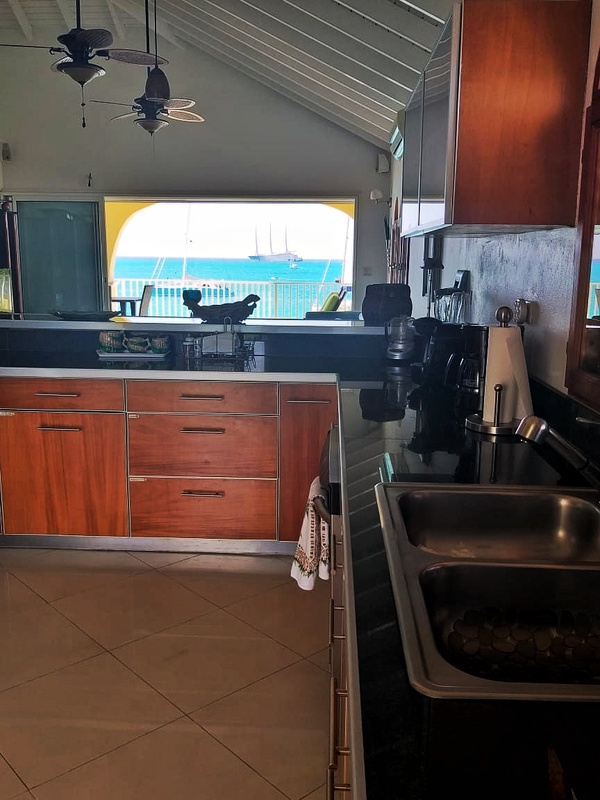 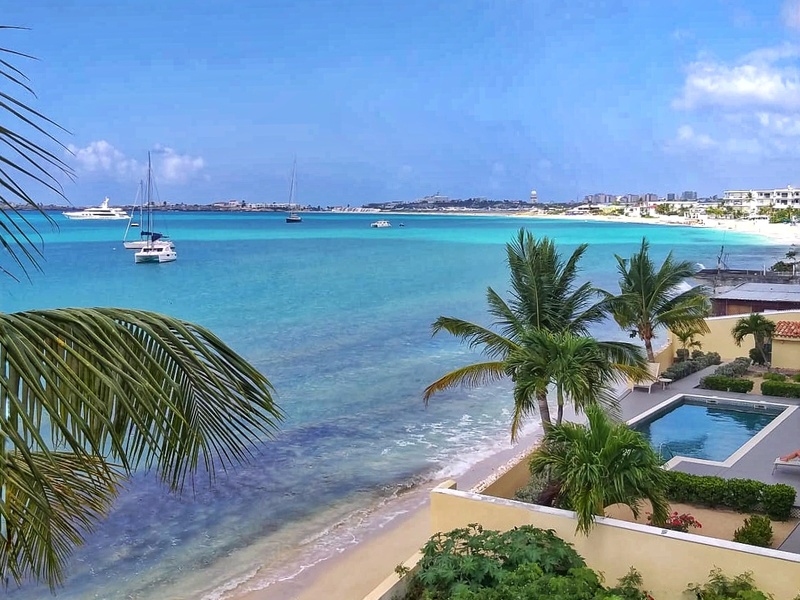 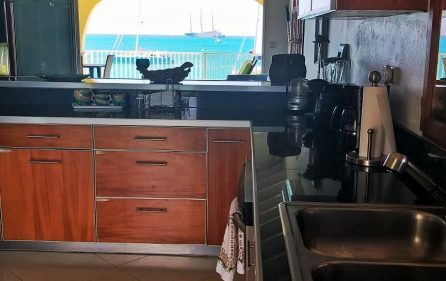 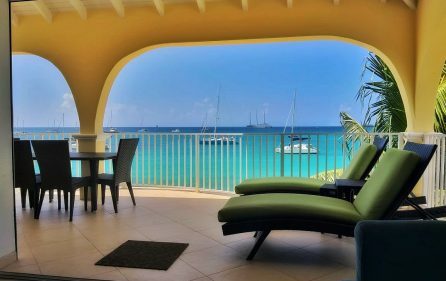 This two bedroom two & half bathroom penthouse is the property of your dreams, right on the beach! 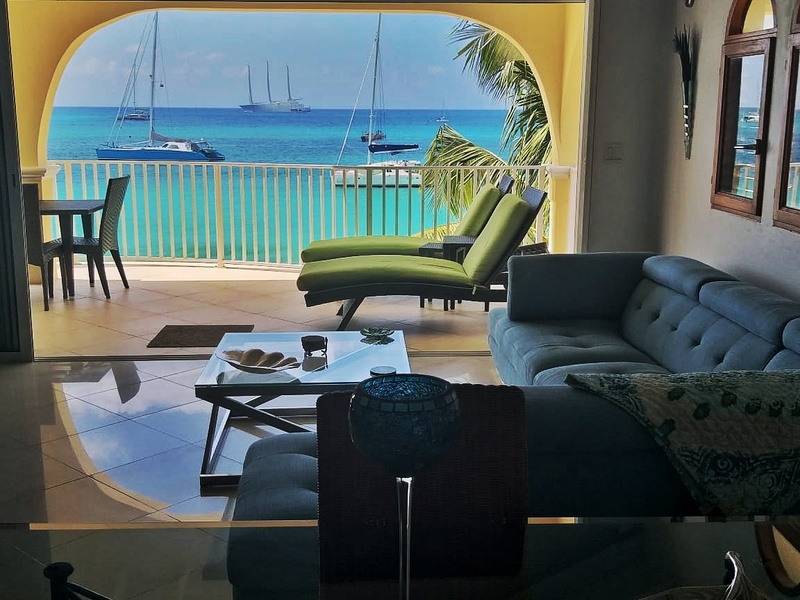 As you step foot in the door, you are immediately enveloped with the aura of luxury and comfort. 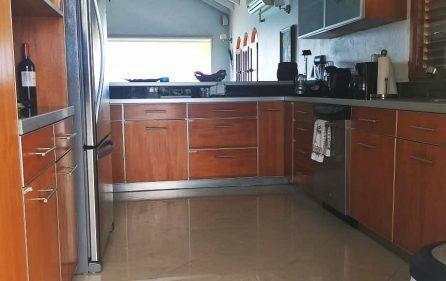 Large (Ceramic tiles) on the floor sparkle inviting you to lay your bare feet on them. 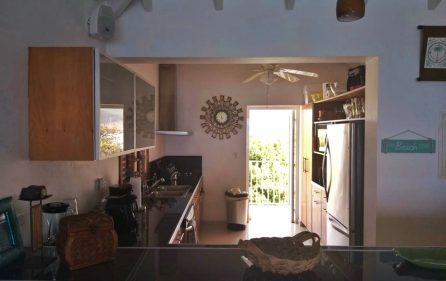 When you look upwards you cant help but notice beautifully crafted ceiling fans hanging from the high rising cathedral cielings. 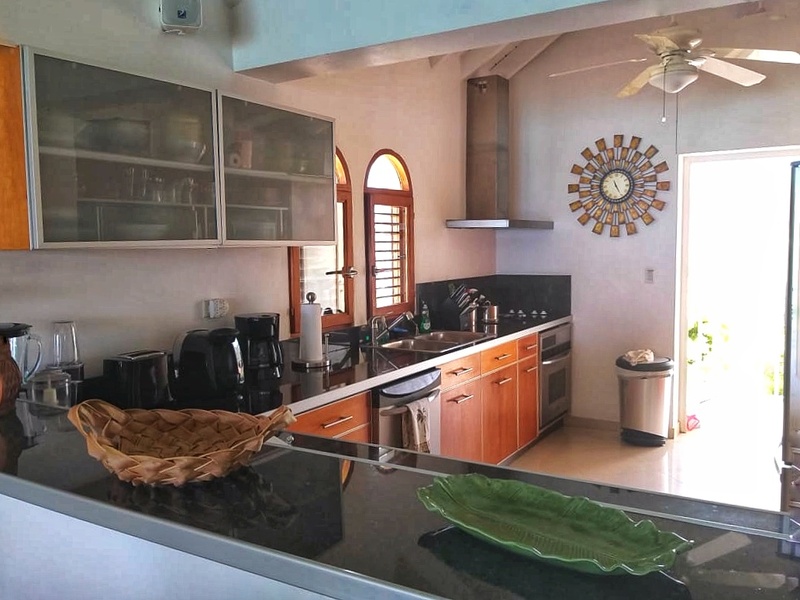 To your right is the L shaped kitchen counter separating the kitchen from the living room. 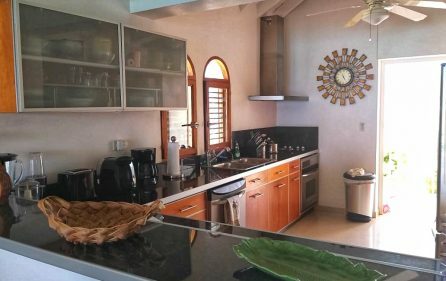 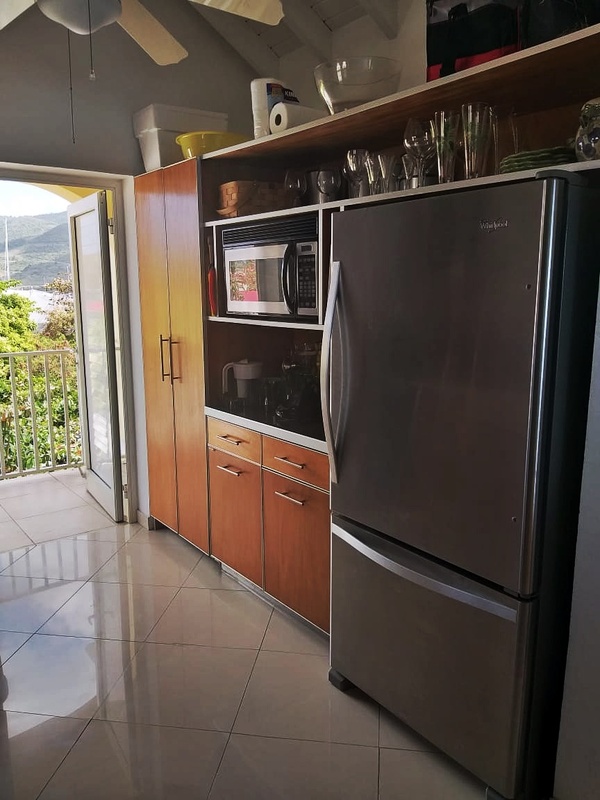 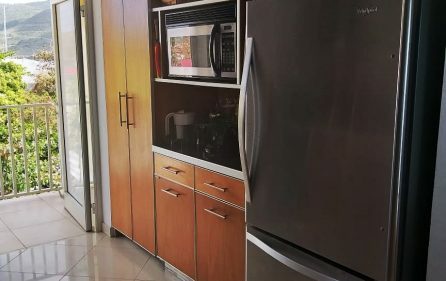 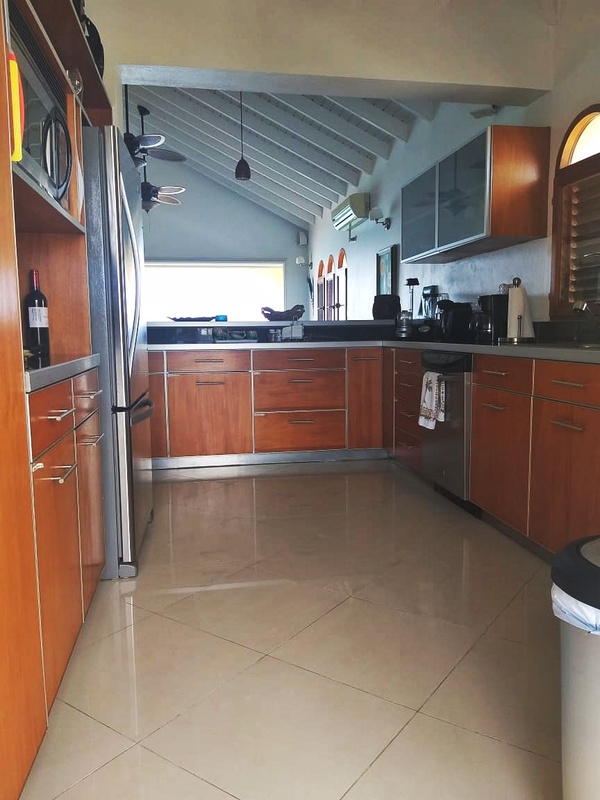 The Kitchen comes furnished with stainless steel appliances and a beautiful stone countertop that compliments the glazed cherrywood cabinets. 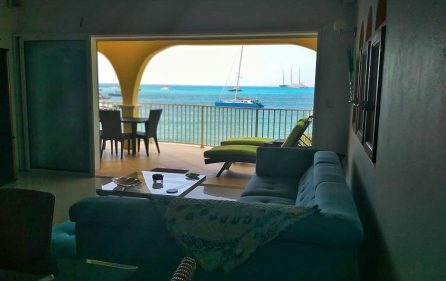 The large living room space has arch shaped windows and directly leads out to the seaview patio. 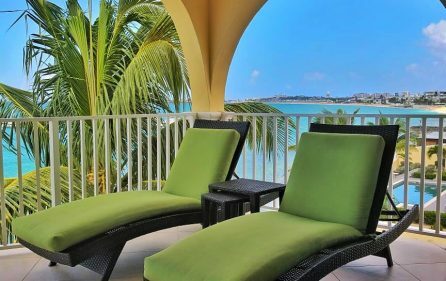 The patio is pleasantly spacious with enough room for lounge chairs and even a dining set. 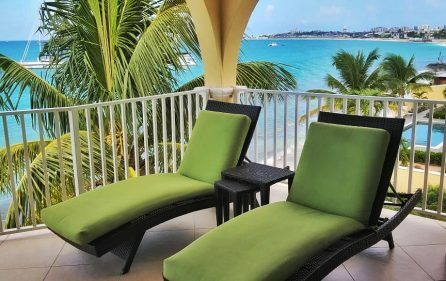 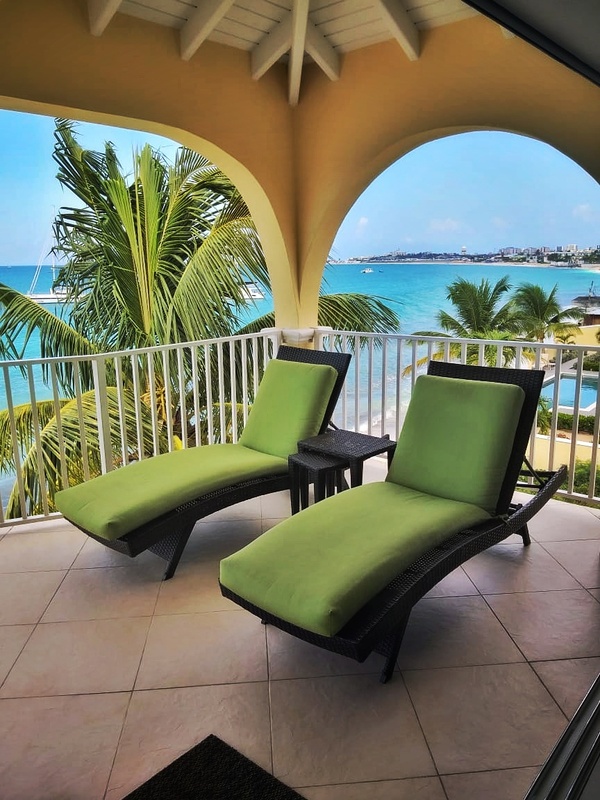 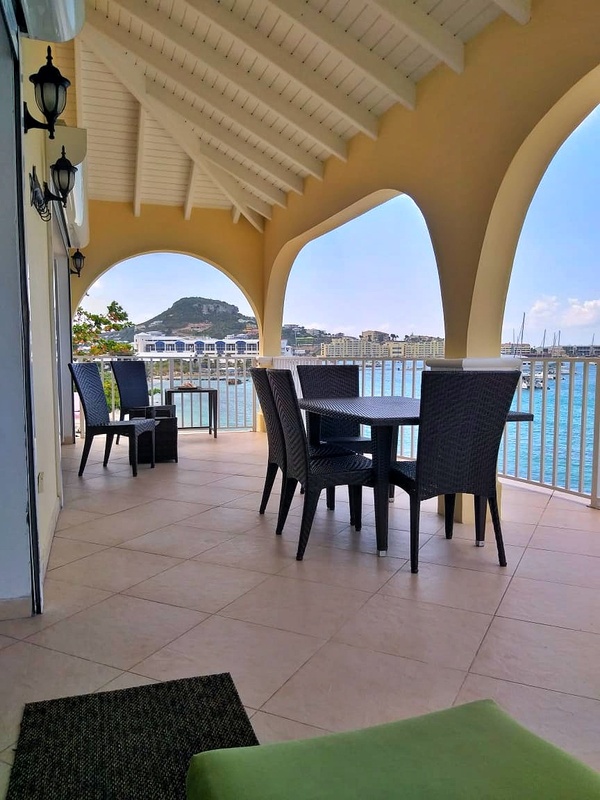 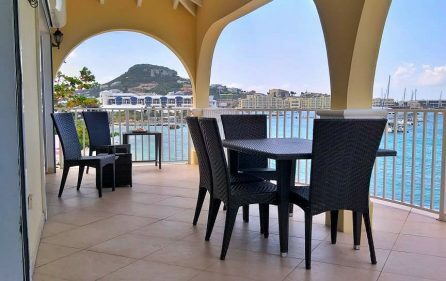 A beautiful view of the sea and sand can be enjoyed from your patio balcony anytime you like. 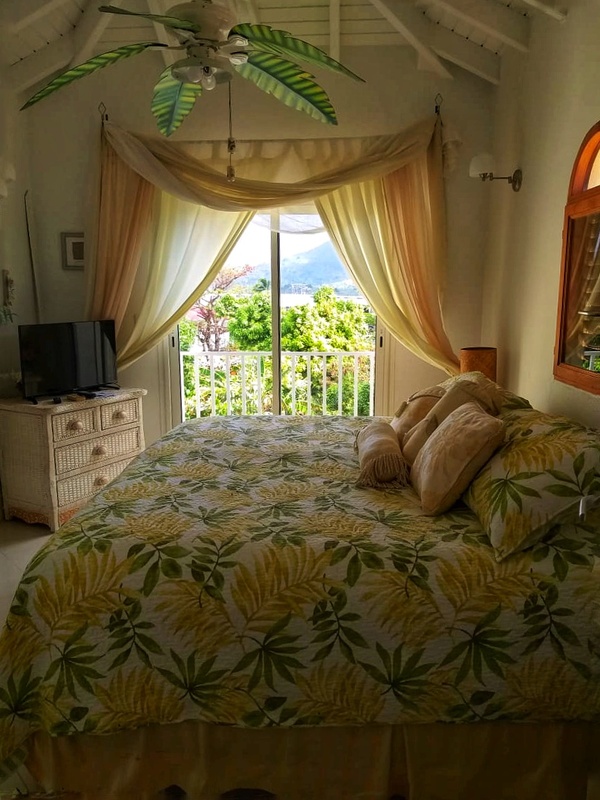 Connecting to the patio is the Master Bedroom. 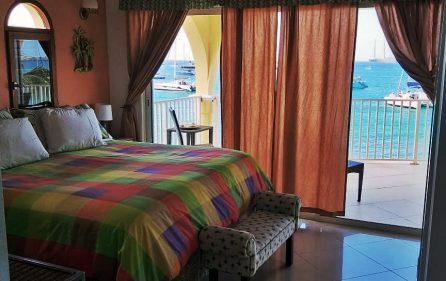 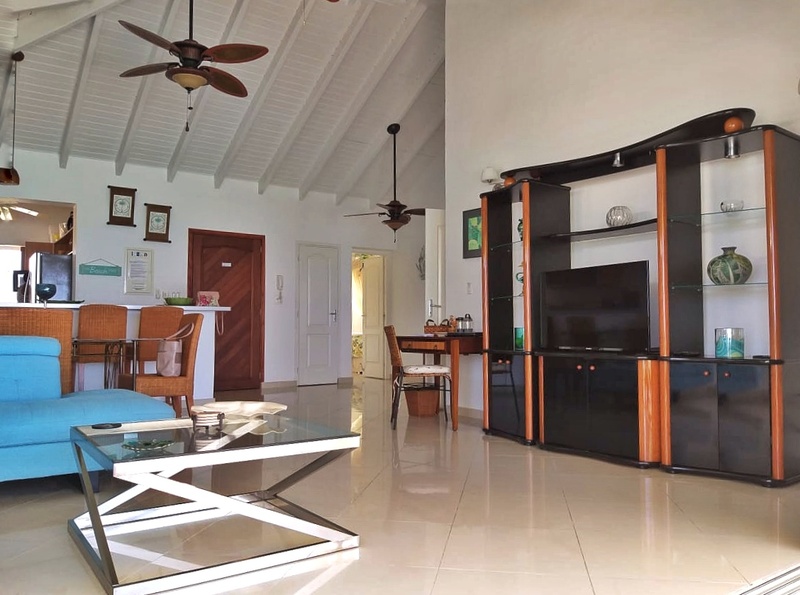 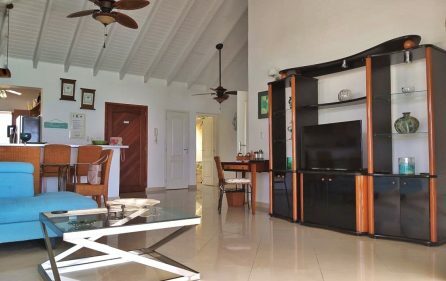 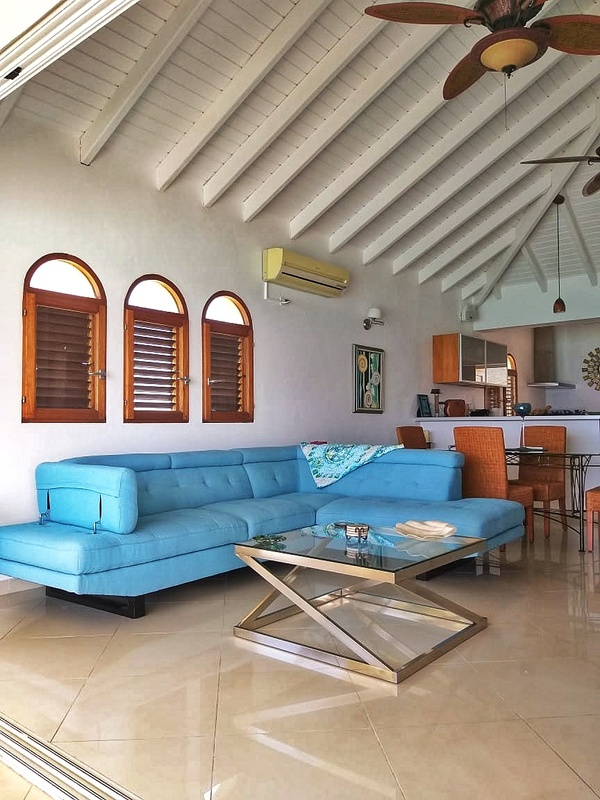 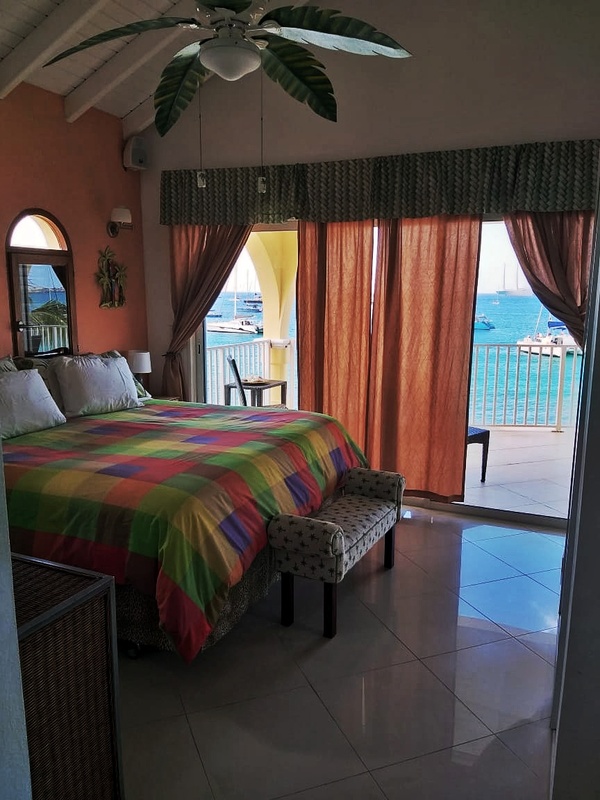 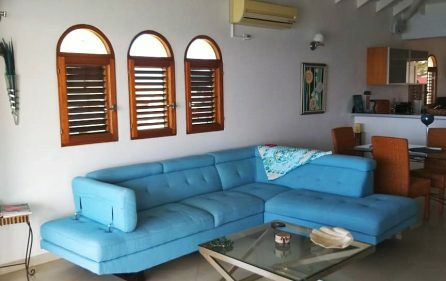 The Master Bedroom is large and majestic as the ceiling fan blades hand painted to look like palm tree branches insuring that you may enjoy the Caribbean breeze at all times of the day. 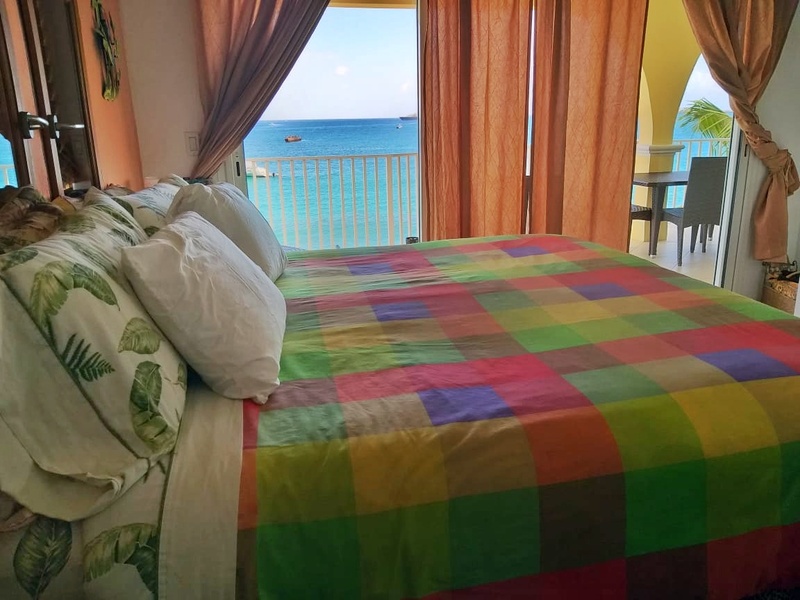 The Master Bedroom overlooks the beach as well. 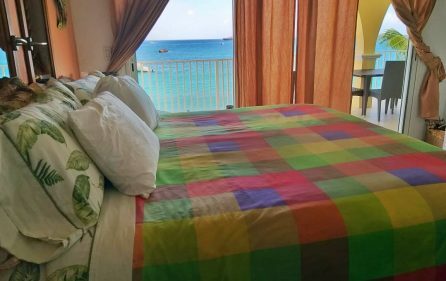 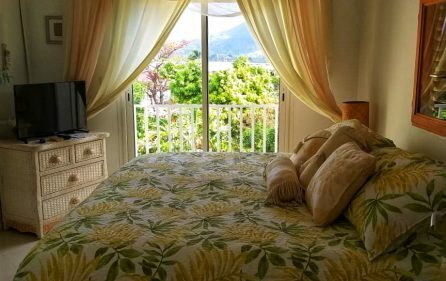 The second bedroom looks out at the beautiful island flora and fauna adding a bit of variety to spice up your condo views. 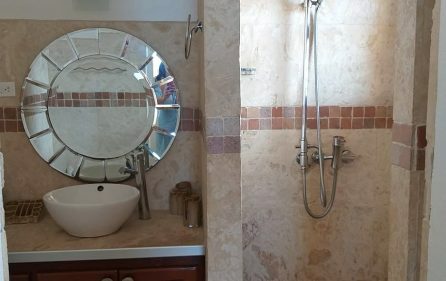 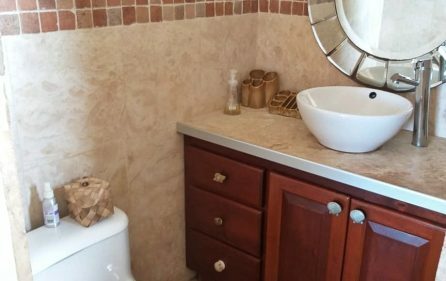 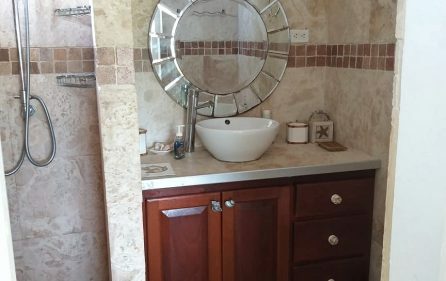 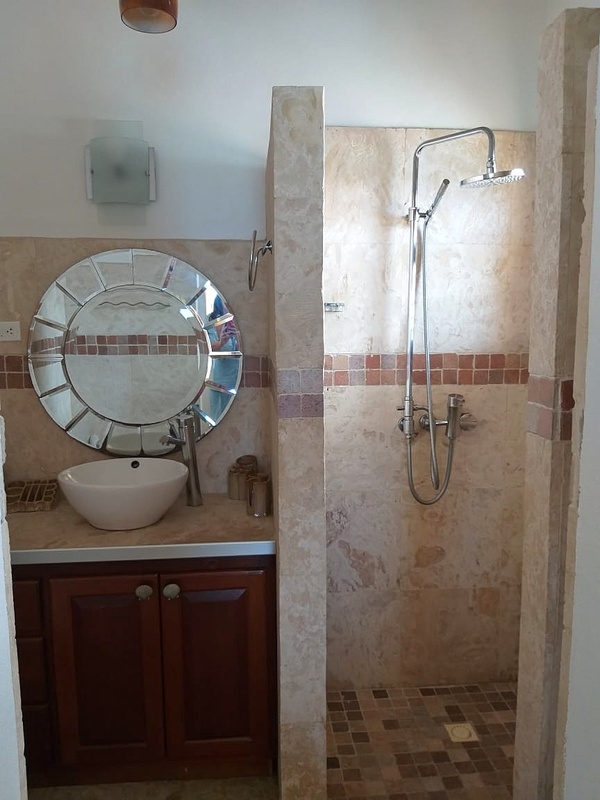 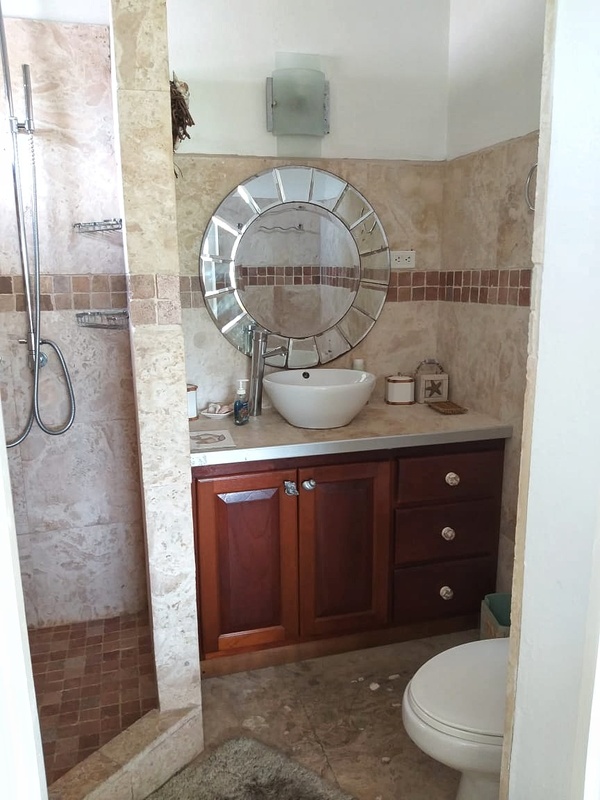 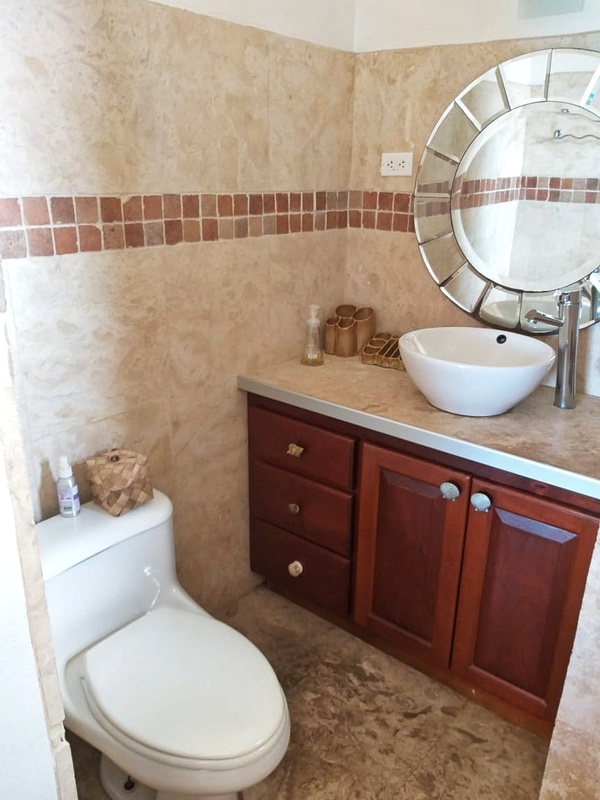 The 2.5 bathrooms come loaded with stone counters and ceramic tiles, sport vessel sinks and standing showers. 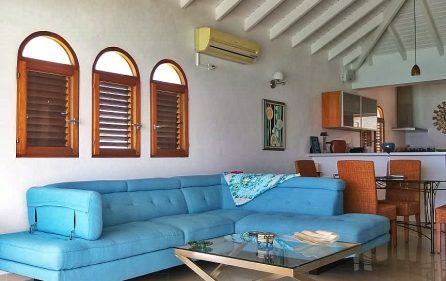 Words are not enough to describe this beautiful home. 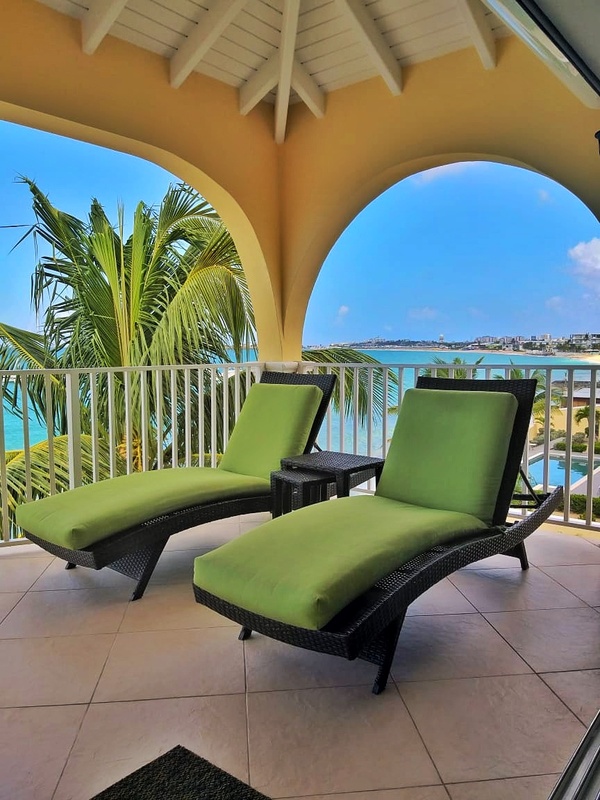 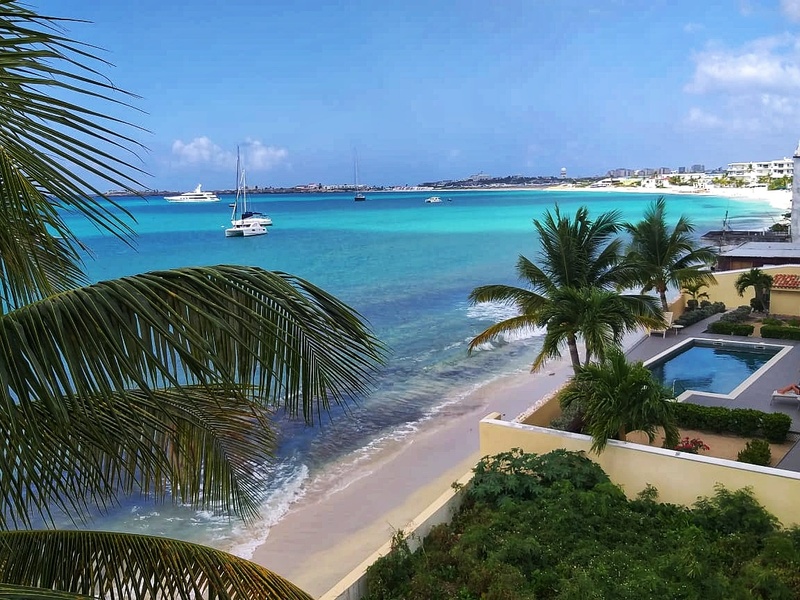 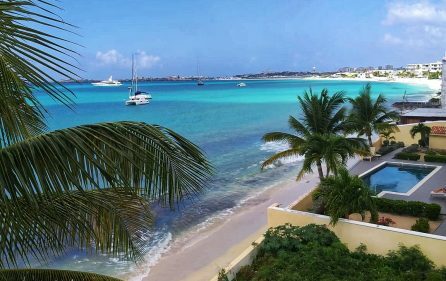 Make this La Siesta dream your SXM reality today.